National is always looking for highly driven individuals to join our team. As an independent network, joining National gives you the ability to run your own business backed by an institutional style platform. Partner with a network of innovators building the future of finance. At National, our registered representatives are more than just sales numbers in a spreadsheet. We are looking to partner with qualified, high performing individuals that thrive on finding unique opportunities. National is a client-focused organization that creates customized investment solutions. Our representatives also have access to expertise and support from across the National family of companies, allowing you to create multi-faceted client relationships and be responsive to individual needs. Are you up for the challenge? The National family of companies provides a platform designed to help financial advisors meet all of their client’s needs in one place. When you work with National, you’ll be part of an independent financial services network that combines investment banking, asset management, wealth management, insurance and tax planning. Client service is at the heart of our organization and our goal is to empower advisors with the tools they need to build a business that has a reputation for innovation and elite service. We invite you to take a look around and consider what partnering with National could do for you and your clients. Copyright © National Holdings Corporation 2019. All Rights Reserved. National Holdings Corporation (NASDAQ: NHLD) is the parent corporation of several affiliated financial services companies. Securities and Variable Insurance Products are offered through National Securities Corporation, member FINRA/SIPC. National Securities Corporation (NSC) is a full service brokerage firm, operated primarily through independent registered representatives. Accounts are carried by National Financial Services LLC, Member NYSE/SIPC, a Fidelity Investments® Company. Fee-based investment advisory services are offered through National Asset Management (NAM), an SEC registered investment advisor. Insurance products, including fixed indexed annuities, (but not variable products), are offered through National Insurance Corporation (NIC). National Tax and Financial Services (NTFS) provides accounting services, tax planning and preparation. Chief Executive Officer, National Securities Corporation and National Asset Management Inc.
Mr. Mullen serves as the Chairman of the Board of all National Holdings Corporation’s operating companies; National Securities Corporation, National Asset Management Inc., National Insurance Corporation and Gilman Ciocia Tax & Financial Planning. 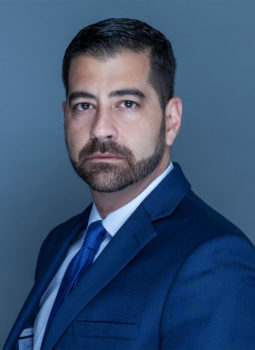 Mr. Mullen also serves as a Director on the Board of the National Holdings Corporation’s operating companies; National Securities Corporation, National Asset Management, Inc., National Insurance Corporation and Gilman Ciocia Tax & Financial Planning. Mr. Mullen began his career in 1986 and has since developed a broad and deep understanding of the financial services industry, with a focus on investing in biotechnology companies. Mr. Mullen has been a Registered Principal with National Securities Corporation since 2008. He brings this expertise to his leadership of the National Family of Companies. Mr. Mullen holds his Series 4, 7, 24, 63, 65, 99 and Life and Health Insurance and Variable Annuity Licenses.